Welcome to the Exterminatus (EX) website. EX is a team based, Warhammer 40,000 themed, total conversion for the Source game engine (as used in Half-Life 2). EX features teams of players playing as Imperial Space Marines, Tyranid xenos from beyond the galatic rim or heretical Chaos Space Marines. 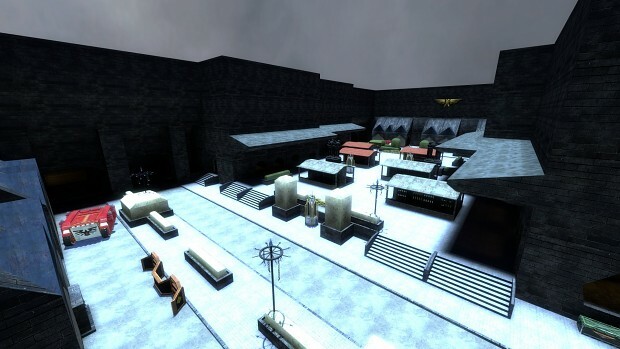 EX has been developed by the team that brought you Rival Species for Half-life. The Extermintus has been open to the public to play for several years. Full releases are stable, tested, long term versions that you can get the latest full version from our Downloads page. Sorry, it a bit overdue, but we've got another stable release of Extermainatus for all you 40k fans. 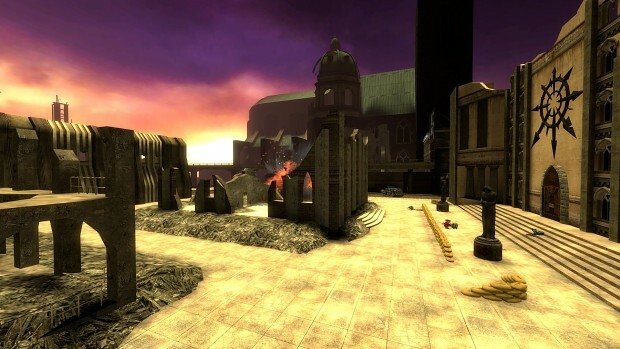 This version features an announcer system with custom events for each of the three teams, updated voice lines and maps. It's starting to look very much like this might also be the last version of Exterminatus. Please keep EX on your RSS feed / mod watch though, just in case. Read the Developer News section below to find out why. There is no patch to upgrade from 9.21, this version requires a fresh install of EX, replacing the previous stable build. Navigate to the "Tools" section on your Steam games "Library"
Install the "Source SDK Base 2013 Multiplayer"
Run the Source SDK Base 2013 Multiplayer at least once. You can exit once the menu has finished loading. If you already have EX, delete it. Run the alpha installer and follow it's instructions. Restart Steam. You should now see Exterminatus listed in your library. The option to create Desktop shortcut has been added to the installer, this will launch the EX with Steam Overlay support (which does not work if you start a mod from the Steam library). This shortcut depends on the Source Multiplayer SDK being installed in the default Steam Library location, so may not work on all systems. Mod leader ChromeAngel has decided, after twelve years of continual development, not to do any new development on EX. As the only coder, animator, news writer, release manager he's decided to limit himself to just what needs to be done to implement others work to EX (which has all but stopped since July 2018). This release represents ChromeAngel's efforts to make good on that goal and integrate as many of the backlog of contributions into the mod as possible. The EX contributors were disappointed to learn that Kharos found the workload of creating new animations for the new space marine models (announced with the last major release) was too much for him. Shortly after Joazzz revealed that he'd also changed his mind about contributing those same space marine models to EX, further crushing the community spirit. Sadly it looks like we won't be seeing those hot new models in EX after all. Without new contributions of content, this could well be the last release of Exterminatus. Games will continue to be scheduled and organised through the EX Steam Community Group for anyone that wants to play. Twelve years is a good run for a mod, we've learnt a lot, played thousands of rounds and purged tens of thousands of xenos and heretics. This week's release is version 9.21, the fourth candidate for the final version of Exterminatus. 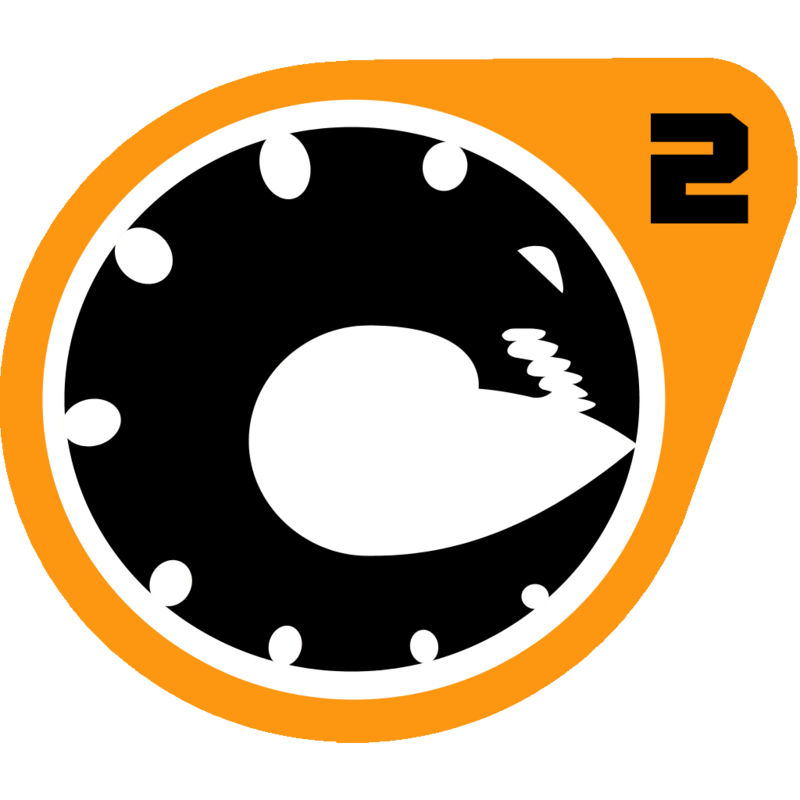 This version includes a fix for the countdown and updates to ex_exchange and csm_trench. There is not patch upgrade from 9.21, this requires a fresh install of EX, replacing the previous stable build. The ModDB mirrors unlock at 16:00 GMT, if it's busy or not working the installer can be downloaded from 40ksource.com. Please try the ModDB first. Reworked the announcer countdown to work entirely client side this should eliminate any stammers and synchronise it better with the end of the round. Re-oriented the dropzones on the bridge in csm_trench and added some small aesthetic details. Added more details to distinguish the sides of the marketplace in ex_echange and moved the marketplace objectives closer to their dropzones. Providing no new issues are found in version 9.22, a long-term, stable, version will be released in late-December. This week's release is a map patch for version 9.21, the third release candidate. This patch includes new versions of csm_trench and ex_exchange. This patch requires version 9.21 AKA Release Candidate 3. Find your Sourcemods folder (usualy c:\Program Files\Steam\SteamApps\Sourcemods\). Extract the contents of the zip file into your Sourcemods folder (this will overwrite the updated maps). Added team specific triggers to the end bunker doors in csm_trench and changed the door colours to clue newly spawned players as to where they exit to. Extended the marketplace in ex_exchange (to make it harder to cap both sides in a short time). Gave the loyalist spawn area in ex_exchange the same connectivity as it's chaos counterpart to make it more defensible. Also removed some particularly camping sandbags. Moved the first objective for each team in ex_exchange closer to their spawn rooms to make them more defensible. Nerfed Knife damage from 28 to 22 (Only on ChromeAngel's server). Providing no new issues are found in version 9.21, a long-term, stable, version will be released in late-December. I plan to discuss with the EX community scheduling future event, so that the mod does no die completely with this release. The three sides are featured in the current version of EX are the Imperium of Man (represented by marines of he Adeptus Astartes), the Tyranid Hive Mind (represendted by creatures of Hive Fleet Behemoth) and the Chaos Legions (represented by chaos marines of the Black Legion). Each of the many 40k themed maps in EX plays through a series of objectives, capturing the final objective delivers victory to your team. Players that do well in combat or by capturing objectives are rewarded with the option to play better classes. Each team has several playable classes, each with their own weapons and play style. Missiosn vary from defense of towering gothic, imperial cities to the mechanised forge worlds of the adeptus mechanicus and the frozen wastes of Tasis IV. More information about the gameplay of EX can be found in the player manual. If you have any questions please feel free to post them on our Discord or the game group discussion board.